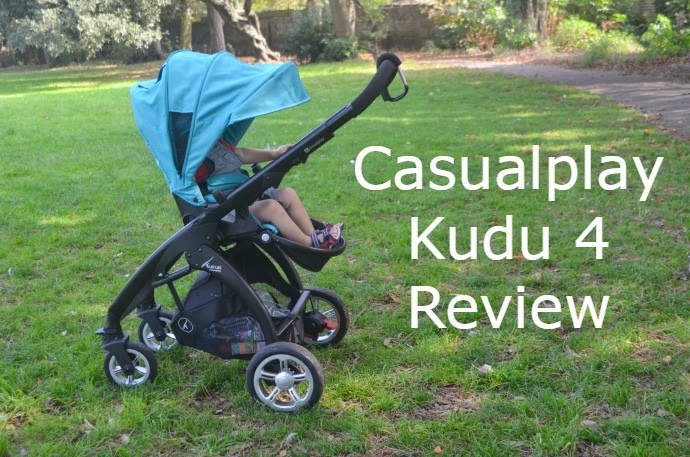 The Kudu 4 is an award winning pushchair from Casualplay, and we have been testing it out over the past few weeks. Suitable from birth, parent or world facing and with a compact fold, this is a lightweight stroller, suitable from birth to three years and comes in three different coloured fabrics with this black frame. 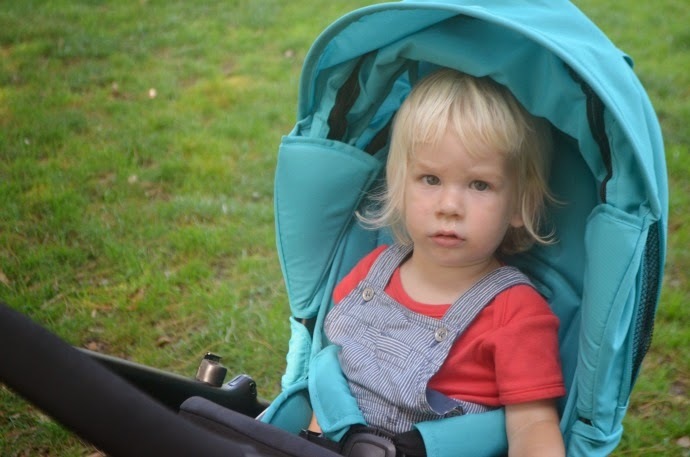 My first impression was how compact the buggy was when folded, whilst it is not as small as an umbrella fold stroller, for a parent facing pushchair, it is was very small, and would be a great option for a smaller boot. The seat unit folds in half giving the flexibility to fold in one piece whichever way the seat is facing. 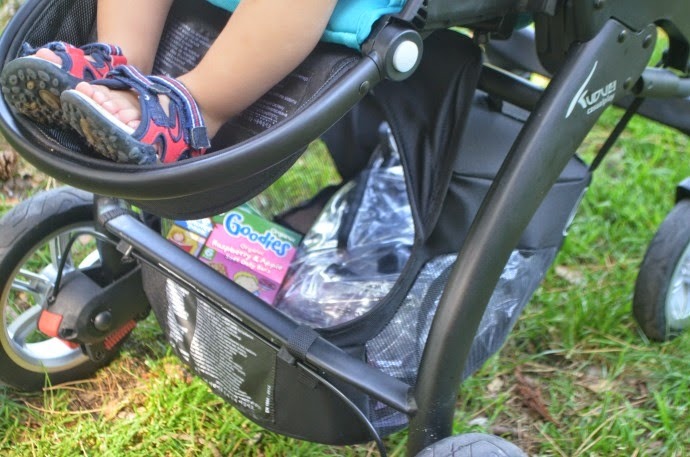 The buggy is lightweight and easy to steer and the basket is deceptively large. 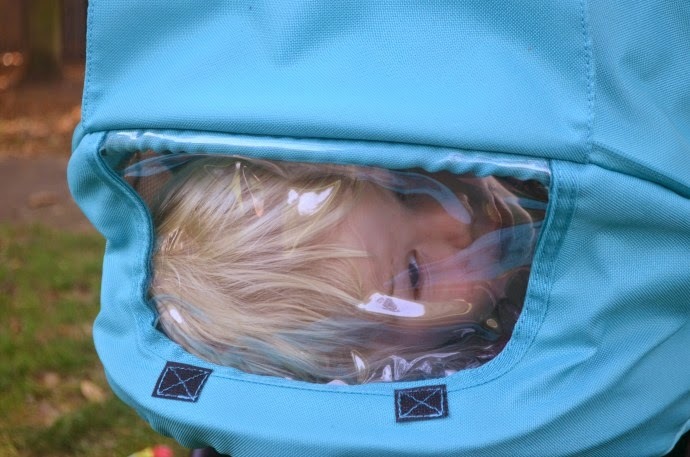 I can comfortably fit in everything I need to take Archie swimming underneath, so two towels, swimsuits, arm bands, snacks and clean nappies as well as the raincover. The handlebar is height adjustable, but there isn't much difference between the two heights. I would definitely say this pushchair is more suited to shorter parents than myself as at five foot nine, I found it a little low for my liking. In general, I would say this pushchair is more suited to a smaller family, as the seat unit wasn't particularly spacious and I know it won't last Archie until he is 3 years. (He is 18 months old in the photos here). 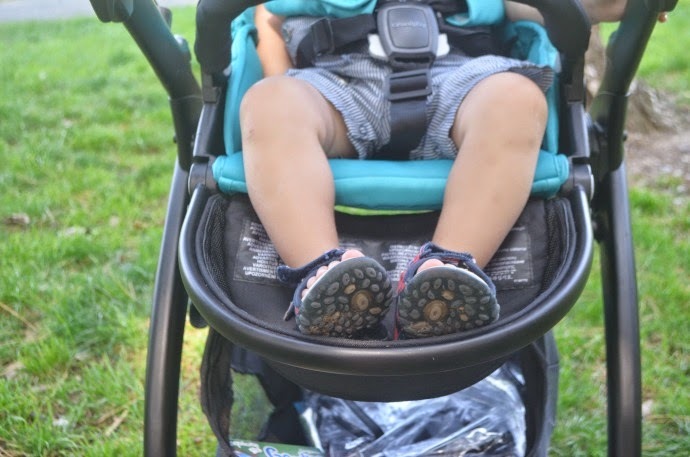 The footrest isn't extendable, and is more suited for a younger toddler than an older one. At the moment Archie is very comfortable in there, but I think we only have a few months left. The seat has 5 different positions, and I love the fact it can sit bolt upright (Archie's position of choice) as well as completely flat and everything in the middle. It is very easy to adjust one handed with a catch behind the child's head and changing from forward facing to parent facing is very easy. A Casualplay car seat can be attached in it's place for a young child. The hood is extendable and has a great peekaboo hole which Archie loves. 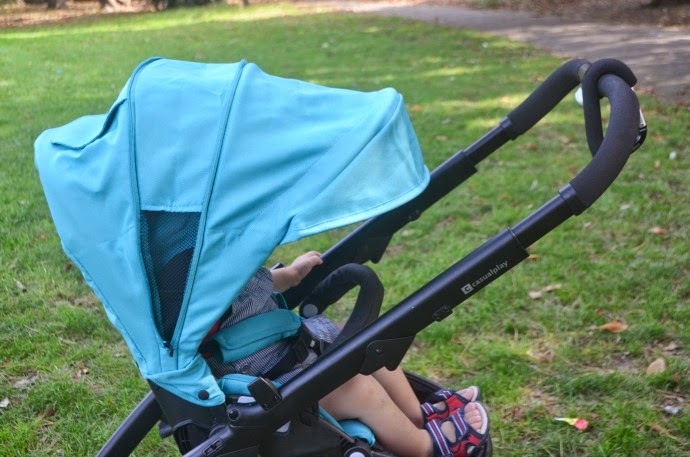 We tend to use the buggy in parent facing so it is only really used for playing at the moment, but if I did decide to have Archie facing outwards, then it would be very reassuring when he is sleeping. 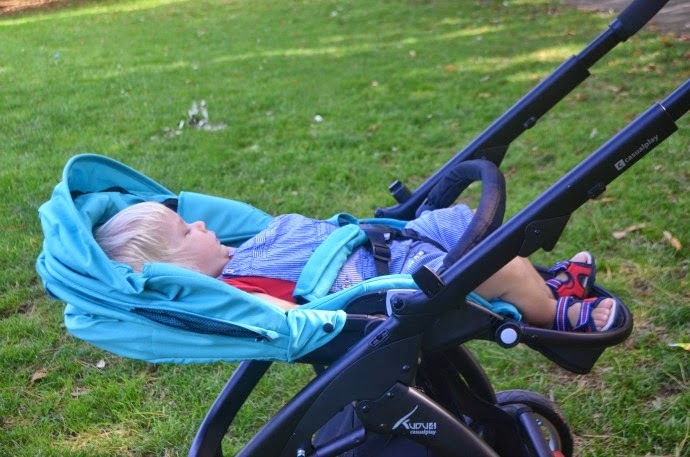 The Kudu 4 is a lightweight and compact stroller, perfect for a small child, but unfortunately I don't see it lasting Archie until he no longer needs one as it doesn't allow much space for long legs. 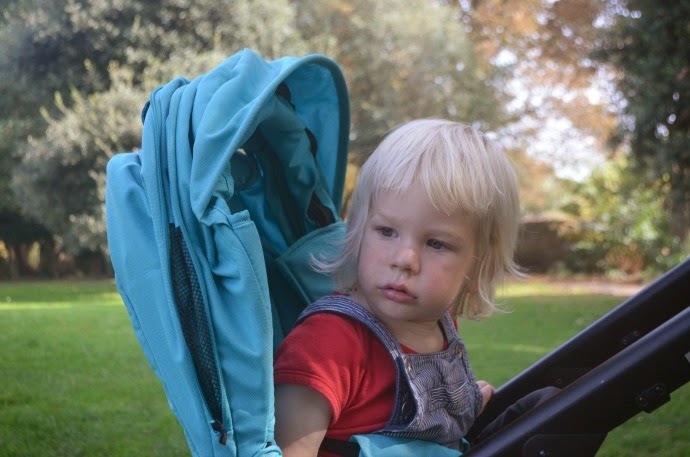 Bex, you are a total pram hoarder ;) Great review though and the Kudu 4 looks great!